Very recently an interesting phenomenon has been observed – analytically oriented management consultants and global enterprises have started to acquire design capabilities that complement their current offering. 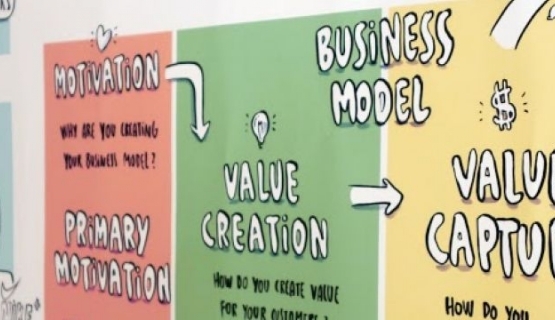 This mainstreaming of design and related thinking has taken over a decade and to really hit home - and now it seems that many elements are converging to re-create the playing field of cutting edge global business and their product-service-business model systems. But what is actually happening and why? Clearly we are seeing a transformation happening in how product-based firms are taking on the service challenge and creating product-service systems that are transforming the very products that formed their previous backbone. Service-oriented firms are improving the products and partnerships that are intimately linked to the delivery of their service business." At the same time service-oriented firms are improving the products and partnerships that are intimately linked to the delivery of their service business. Thirdly, business modelling has matured into a field of its own, after several decades of introspection and experimentation in various directions. Today, it is at the intersection of products, services and business models where we find the new holy grail of profitability, inimitability and competitive edge. It is the place to be, the place which is hard to get to but which provides the best guarantee today of keeping ahead of the competition. How does one get there? And why is it such a demanding task? What do we need in terms of tools and methods to help our journey? In the first place, the whole history of creating wonderful products is very different from building up excellence in services. The mindsets differ, sometimes radically, and technical optimization in manufacturing rarely translates well into an exciting customer journey which services are built on. On the other hand, the business models that are based on inward looking technical optimization or backward looking business analytics are not creating the buzz that develops further a unique customer experience – in other words we clearly need new tools, approaches and methods that can get us to the profitable intersection where products, services and business models are all aligned to create unique customer value. Looking backwards will not create the next blockbuster." These tools and approaches need to take in the human factor, the user insights, needs and desires. They also need to create the business of the future – looking backwards will not create the next blockbuster. We need divergent, out-of-the-box thinking, linked to the understanding of digital convergence. We also need to do, plan and think at the same time, as we no longer have the luxury of leisurely planning. We need to test our products, services and business models at every stage, to ensure that we are on the right track. We need to learn and reframe reflexively our thoughts at each step. We need to furthermore be flexible and agile, and we need the capabilities to develop exciting solutions out of extremely hazy starting points. In other words, we need to think design in business. We need to add another layer onto our analytical capabilities, the one that looks at the principal human being of our business - our customer - from every possible angle. We need the tools and approaches that designers have used for decades to make sense of the highly ambiguous human mind. We need design to understand desire in business. We need design to understand desire in business." This is what the world-class players have realized – and they are on the road to create the business of the future, with design. This is not their limited game, though, and integrating design into the business outcomes, processes and capabilities is something that can be done by all businesses that are intent on creating the best of the worlds for themselves. Dr. Mikko Koria works as Professor & Director at The Institute for Design Innovation, Loughborough University. He is also one of the instructors in Aalto EE's Design Thinking for Business Innovation program. Design Thinking for Business Innovation program covers all the critical stages of innovation from idea to sales phase. You will explore and understand the framework of Design Thinking, see it in action and learn how to practically apply it to business models in your organization.